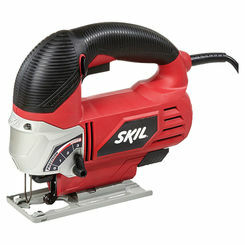 Woodworkers love jigsaw tools because they allow them the freedom to efficiently cut curves and unique designs. 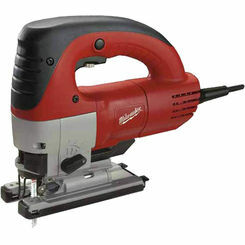 It's one of the most useful power saws, and you can save when you buy a discount jigsaw online at PlumbersStock. We also carry replacement jigsaw parts. 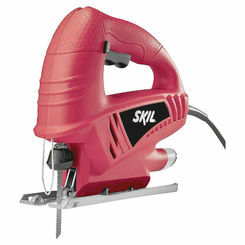 Many power tools make fixed cuts, but the jigsaw tool enables you to make arbitrary shapes in wood and metal. 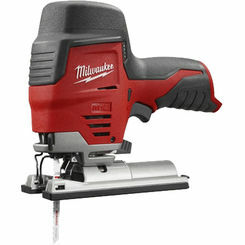 We have the best tools online and here you will find reputable brands like Milwaukee. What Is a Jigsaw Tool? 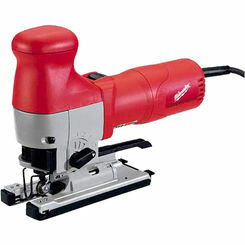 A jigsaw power tool is a saw with a fine blade used to cut asymmetrical patterns and custom shapes on wood, metal, ceramic tile, plastic, or plastic laminate. 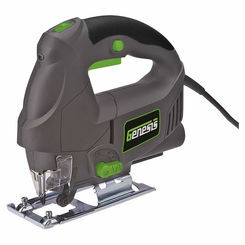 Unlike other power saws that can only do angled, curved, or straight cuts, jigsaws are specifically designed to allow free range of motion in your work, making them the perfect tool for those intricate outlines. Jigsaws are different than other saws in that they are able to do things such as saw into a countertop or cut through thin tile or metal that other saws would rip apart. 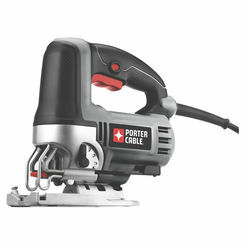 While they’re best for complex shapes, they can also be used to create short crosscuts and finishing inside corner cuts. They should NOT be used to create long, straight cuts. 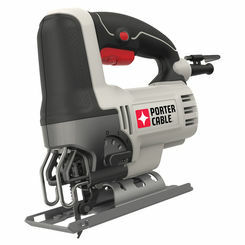 Compared to other portable power saws, jigsaws are the most delicate and as such need to be handled carefully in order to keep the tool in proper working condition. Here are some good tips to keep in mind when handling your jigsaw. 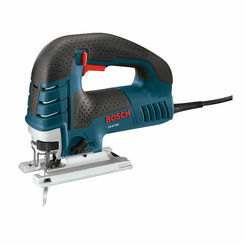 Don’t Force it – If your jigsaw seems to be having difficulty cutting through a board or surface, don’t force the cut. This may cause your blade to snap. 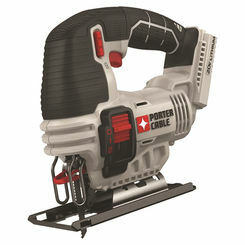 Limitations – All power saws have limitations to what they can do, and a jigsaw is no different. Jigsaws work best with cutting softwood that’s no more than 1 ½ inches thick, and hardwood that’s no more than ¾ inches thick. When it comes to ceramic tile, you should be cutting no more than ¼ inch thick, and metal should not exceed 1/8 inch steel or 10 gauge thickness. Cutting past the thickness of a material could cause the motor to overheat and the blade to wander, causing messy and uneven cuts. 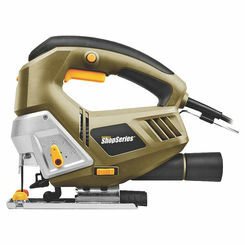 A Sharp Blade is a Safe Blade – This goes for not simply a jigsaw, but all power saws. Sharp blades are safer because they’ll work better and easier and be less likely to cause damage or injury. Some blades can be professionally sharpened, while others simply need to be replaced. 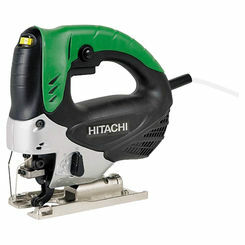 Purchase a Jigsaw with Variable Speeds – Variable speeds allow the user to have more complete control over what they’re cutting. 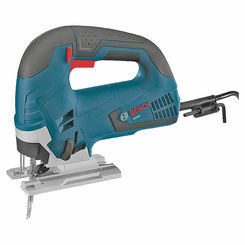 Choose a jigsaw that offers this feature for better performance and ease-of-use. Jigsaws are ideal power tools used to cut out those intricate designs with perfect precision and accuracy. Jigsaws are often lightweight, easily portable, and can be used with a single hand. Even so, these tools need to be used correctly in order to keep the user, tool, and workpiece safe from harm. 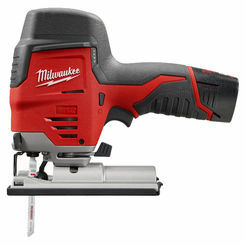 If you’re in the market to add a jigsaw power tool to your collection, or if your current jigsaw is in need of replacement, PlumbersStock offers the best names Milwaukee and Ridgid at the lowest prices. Our tools are the highest quality from the top brands, so you can be sure you’ll be shopping smart. Join the thousands of customers who shop with us and save big on jigsaws.